When fifteen-year-old Ciarán Morrigan eavesdrops on a conversation between his father and two mysterious strangers, his life—and the life of his little sister, Remiel—is changed forever. After their father makes a startling decision, the Morrigan siblings are forced to flee the only life they've ever known and embark on a dangerous adventure across the nation of Empirya. With the enlisted help of a disinherited vagabond, a cynical violinist, a fire-juggler with a fierce temper, an aspiring mechanic, and a cheerful librarian, Ciarán and Remiel must fight to escape the clutches of lethal pursuers. Their journey carries them through smog-filled cities, dark forests, humble towns, and perilous mountains, but will Remiel's dark secret and ghosts from the past prevent the Morrigan children from finding a place they can truly call home? Inspiration is a fickle thing. I’ve spent entire afternoons at my computer with my fingers hovering over the keyboard, jamming out paragraph after paragraph, only to backspace it completely, unable to provide anything of substance. Which is absurd when you think about it, because I am primarily drawn to various subsets of the fantasy genre, where options are virtually endless! With so much to explore, getting “stuck” shouldn’t even be a possibility, and yet, I still find myself hitting roadblocks every now and then. But while the infinite avenues provided by the fantasy genre can be a blessing, they can also be a daunting road to follow. Though I’m drawn to fantasy, I often find inspiration in more “realistic” sources. Even the most fantastical stories feature threads of plausibility that tie realism into the plot and characters, which then helps a reader relate to characters, relationships, or certain situations, despite the fact that the story is set in a distant realm or an impossible world. That’s the ultimate appeal of the fantasy genre; you can do just about anything with it, and scale to lofty heights in faraway lands with creative characters, and yet, it still resonates with people on a personal, grounded level. There’s so much that can happen across the pages of a fantasy novel, whether it be via magic, incredible beasts, mythical heroes, or some other idea that breaks the barrier of realism, but it’s still important that readers are able to find points of connection. Your ideas might run wild or your characters can evolve beyond the scope of your initial vision, but they are still tethered to reality in some way, which makes it possible to evoke emotion from readers and hopefully draw them into the story and message you are trying to tell. For me, this means looking into the “real world” for inspiration, then transferring it onto the page through a fictional/fantasy lens. So whenever I do get stuck, or the well of inspiration starts to run dry, I just look for either inward or outward for a dose of inspiration, whether it be a historical situation, a personal issue, or a news headline that happens to catch my eye. 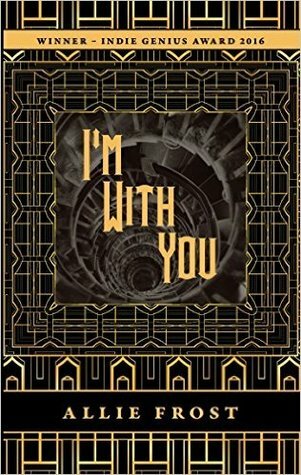 In my debut YA novel I’m With You, I aimed for a more “low fantasy” vibe, with characters that were mostly realistic (save a few with special “abilities”) and a fictional setting that was partially inspired by places I’ve been to in my real life. Combining fantasy and reality is one of the best parts of writing for me, and though navigating the genre can be stressful, it’s always an adventure. Others. I knew what Father meant, but none of it had been Remiel’s fault. Anger stewed in my chest. I wanted to storm into the room and defend my little sister, but the next snippet of conversation rooted my feet to the carpet. Father buried his face in his hands, and his voice was muffled by his fingers. His words provided no consolation. If Father wished harm on Remiel, he was condemning me along with her. The man in the chair—Maverick—drummed his fingers on the armrest. After an agonizing pause, he drew himself up to his full, towering height, and I saw a man whose image I would never forget. He reached a hand toward Father, who grasped it in a desperate handshake.